Paul has had a wide-ranging career, which has included play-by-play of football, basketball and baseball for several regional networks over the last 15 years. Paul has called college games in many conferences including the SEC, ACC, C-USA and Atlantic Sun for FSN, CSS and Cox Sports Television in New Orleans. 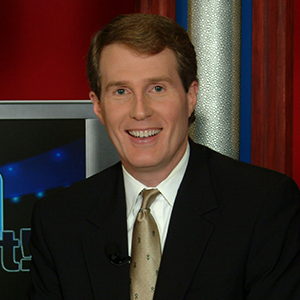 Most recently Paul handled the television play-by-play for a new professional basketball league in India, which remain the only live network televised basketball games in the country’s history. Paul joined the GPB Sports team in 2017 after having called high school football games across the southeast for FSN and CSS. An Emmy Award winner, Paul has worked at CNN Sports and in major markets such as Dallas, where he hosted Dallas Cowboys magazine shows. He also co-hosted the New Orleans Saints weekly show for nine seasons on Cox Sports Television.